The busyness of College life for 2018 is well and truly upon us, as we pass the mid-Term 1 point and look to the end of term as a time to reflect on the academic progress and growth in student learning. 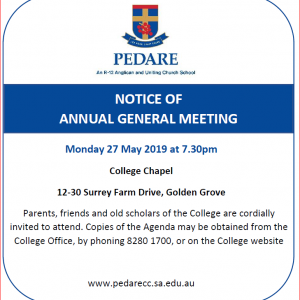 This is a time when we also focus on the broader involvement of Pedare students in carnivals, extra-curricular sport and the many music ensembles. Under the careful guidance of Reception classroom teachers Mrs Joy Ey and Ms Jasmine Orlowski, students have developed a clear understanding of Pedare and its culture. They know how ‘to be’ in the classroom and experience structured and unstructured learning opportunities. 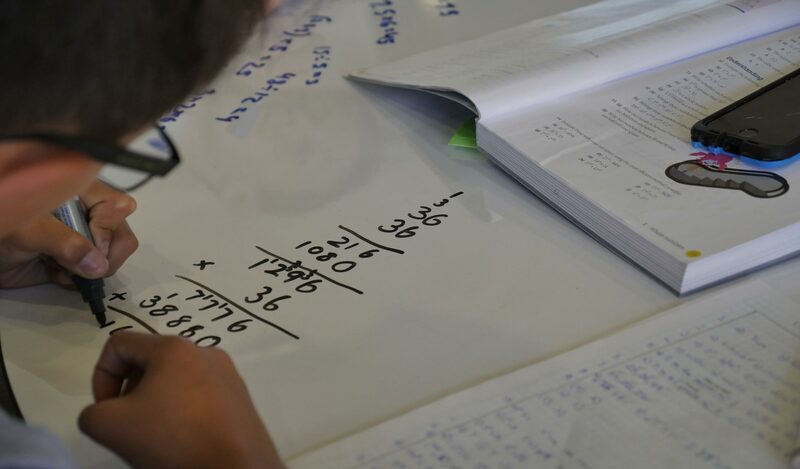 By contrast, Year 12 students have ‘hit the ground running’ towards the end of their formal schooling. Routines for success have been established with their subject teachers. Students have been given their first summative assessments which count towards their overall assessment. The pace is constant and with the support of their teachers, students know, with hard work, they will achieve their goals. The relocation and demolition phase of the One College development is nearing completion and within days we will also see the ‘new build’ begin. 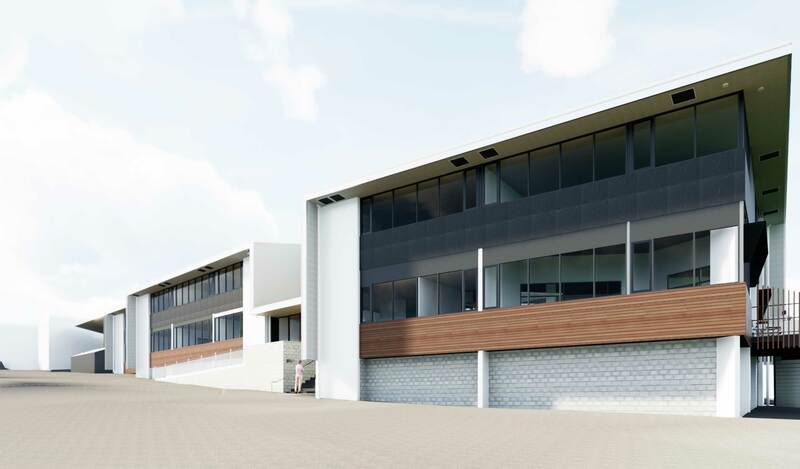 Concrete and steel framework will be the first phase of the build, with the focus on the biggest task, the Middle School, with 15 classrooms, breakout spaces and STEM workshops. This will be followed by five Junior School classrooms in the new ‘Banksia’ block and Administration in the new ‘Acacia’ block. 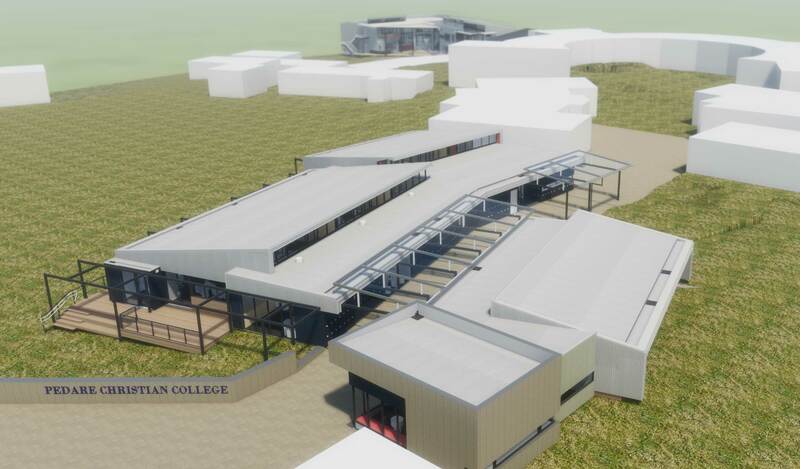 Finally, the concreting and steelwork phase will move to the new Blue Gum Gymnasium. This way, each of the contractors can stay on site and move from building to building. 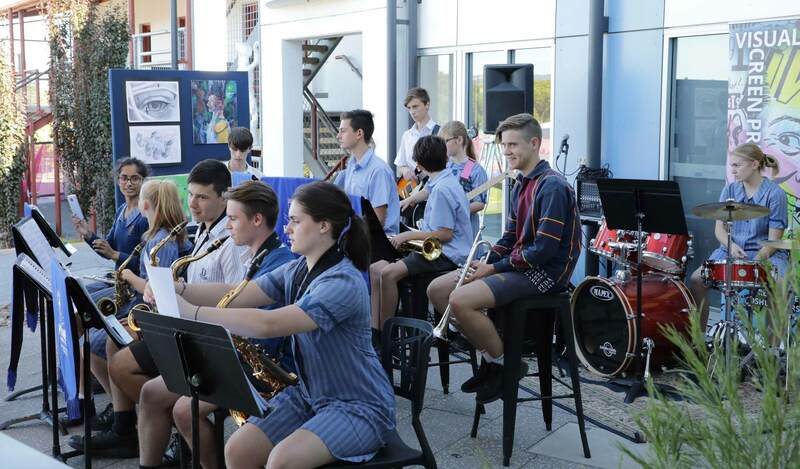 The Performing Arts precinct on the western side of the Chapel, with relocated buildings and a large new covered deck area, is shaping up as a vibrant learning environment for Reception to Year 12 Music and Drama. The area will provide great benefits for the music, drama and instrumental lessons in 2019. It has been concerning to note some trends developing regarding driver behaviour for parking in the Junior School carpark. Some parents are parking in either the disabled car spaces or the loading zone and leaving their car unattended whilst collecting their child/children. I ask for your cooperation in not using these reserved spaces, as we have grandparents, and sometimes a child with an injury, who may require the disabled car parks. Delivery drivers have been forced to double park or simply do not make a delivery due to parents parking in the loading zone. When parking in the disabled or loading zones, you are forced to reverse back into oncoming traffic, which is dangerous for our children and also slows down kiss and drop traffic for all. This also includes NOT parking within the inner triangle which is reserved for staff, noting staff do come and go during the day and so parking in a vacant spot does have an impact in this area. The ‘kiss and drop’ zone does work if all drivers do the right thing. This week, I will be asking parents who park in these zones to move on, if they are not in their vehicles, a friendly reminder will be placed under their windscreen. Thank you for your cooperation in following the signs in the car park to ensure the safety of all children. Week 7, Tuesday 13 to Thursday 15 March, are Parent/Teacher Interviews. These are an invaluable experience for the teachers and we hope for you are parents. There is a large body of research that points to the correlation between parent involvement in a child’s schooling and their educational success. Term One interviews provide a formal opportunity for parents and teachers to discuss your child’s academic progress and social and emotional development. Importantly these interviews also generate discussion about the ways in which home and school can work together to enhance each child’s learning development. 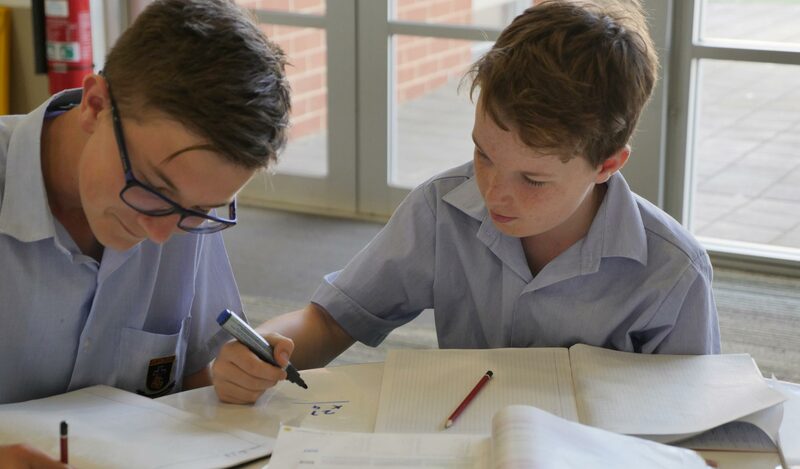 Learning Journeys will once again commence in Week 9 this term – Wednesday 28 March and are a wonderful opportunity for students to celebrate their learning with parents and family. 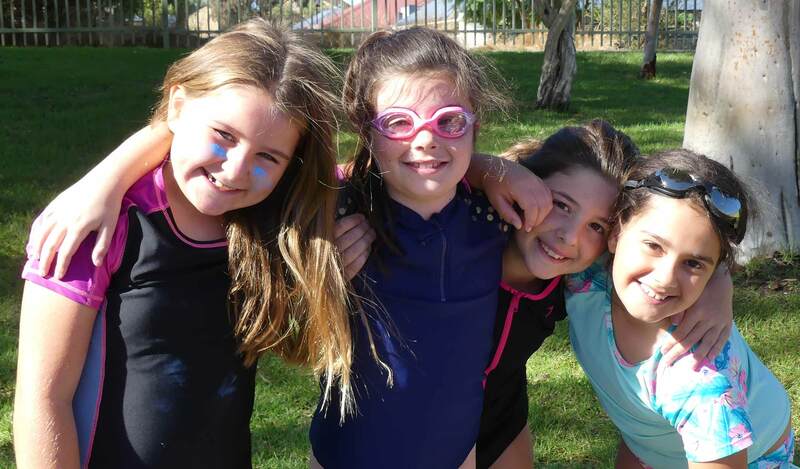 Year 5 parents please note that following Learning Journeys, Emily from Wilderness Escape will be offering a parent presentation from 6.30pm to 7.15pm regarding the Year 5 camp. The Winter Olympics has now finished on our TV screens, but the last few weeks have given us all a chance to see the people who are the absolute best in the world. Although the games may not be for everyone and that it is hard for us here in Australia to get excited about sports we are not accustomed too, I still find watching athletes at the top of their game exciting. We can learn a lot from people who are prepared to train and dedicate themselves so passionately to a single focus. The determination and commitment of an athlete is something that can resonate with our students in the Middle School as they too need to show commitment to their studies or sports to see success. 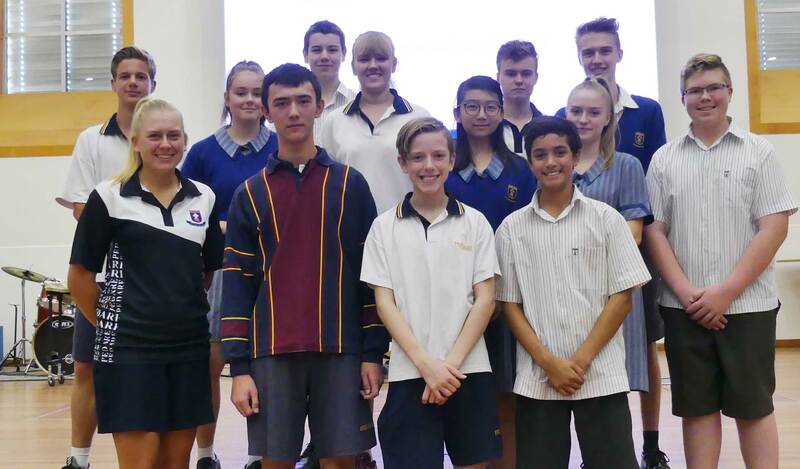 I shared with students recently the story of David Morris, the Australian aerial freestyle skier who showed us all how to perform in the face of adversity. He showed the world you don’t have to come home with a gold medal to be winner. David was happy to be even selected for the Olympic team. He was tipped as a strong medal chance for the games but did not make the medal final as he did not perform to his best in the qualifying. The controversy was when a Chinese athlete crashed on landing but was awarded a higher score than David. Media reports claimed David was robbed and many people were upset, but not David. He did a TV interview shortly after with a big smile on his face and said “…it is what it is, I can’t control the judges…I can only control what I can do. I should have jumped better”. I thought this was an excellent sentiment for young people to hear, the fact that even though this was one of the biggest moments in his life and he didn’t live up to expectation, he was still able to be gracious in defeat. On further reading on his blog, he talked about wanting to be a wonderful example to the young people of Australia. He wrote that “we must lose graciously as we win, and I was simply not good enough for the competition” which must have been an incredibly hard thing to comprehend after not progressing in controversial circumstances. Perhaps his greatest quote was that “Humility, class and respect will be remembered for longer than any medal and that even though I didn’t win gold, you can’t pass on results but you can pass on sportsmanship”. Although he may not get the same media coverage as our AFL stars, he is certainly someone that should be an inspiration to us all. I look forward to seeing some of our very own home-grown sportsmanship at the Athletics Carnival next Friday. In Middle School recently, our students continue to work hard both inside and outside of the classroom. 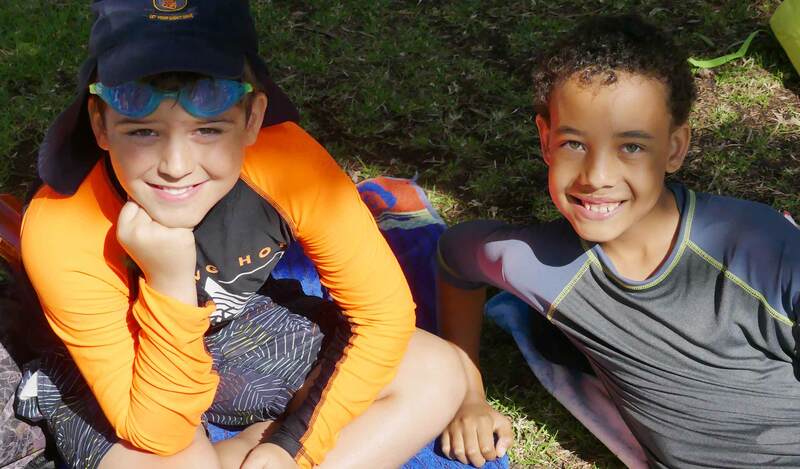 Middle School Student Leaders provided help and support at the Junior School Swimming Carnival and did a sterling job with many parents and staff offering positive feedback on their performance. Well done! Our Year 7 students are in full preparations for their camp in Week 8 with a lot of planning taking place. Students in all year levels are completing a number of summative assessments this week and next and I encourage you to talk with your children about these. Again, I invite you to speak with any of your child’s teachers if you would like information about how your child is performing in any of their subjects. We are already more than halfway through the term, and the Year 10 students continue their introduction to the Capabilities that underpin the SACE, through their Personal Learning Plan studies and this week, particularly through the Year 10 Camp to Loch Luna. This camp forms a valued part of the Year 10 curriculum, and the students were engaged in kayaking, rafting and Bush Survival which definitely challenged their Critical and Creative Thinking, Personal and Social, and Ethical skills, as well as their resilience. Those who attended the camp will hopefully proudly wear their Capabilities badge, which will be issued to them, in recognition of their completion of this component of their learning. 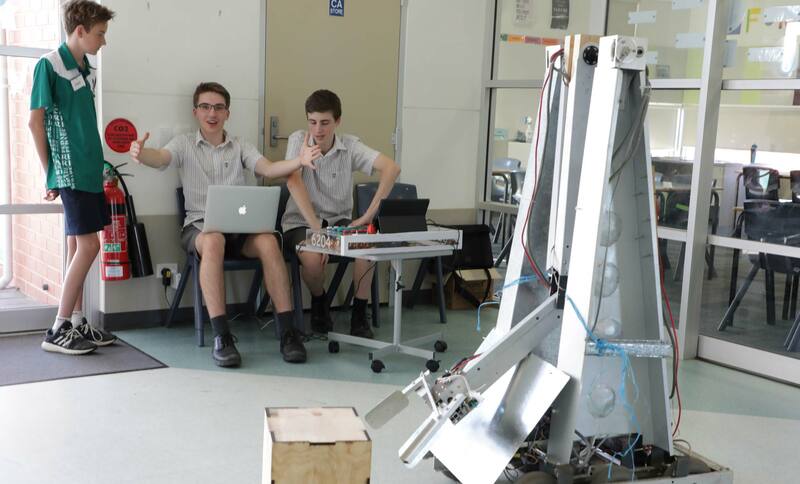 Senior School students have already participated in a variety of excursions and incursions to extend their learning experiences. 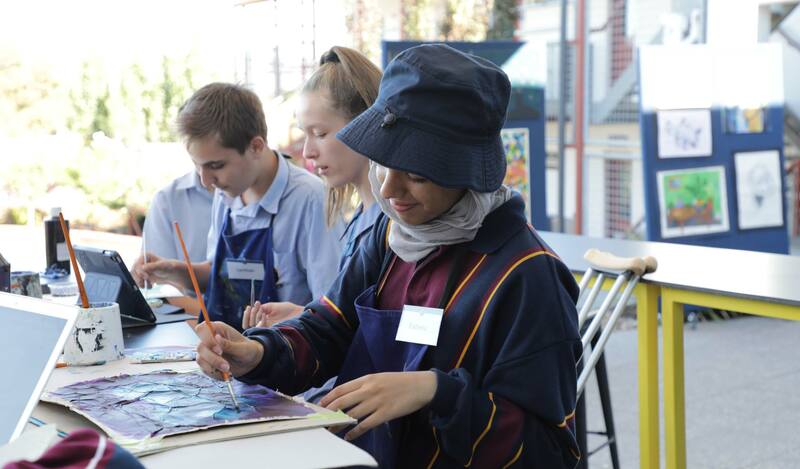 These include: Visual and Media Arts excursions to view and gain inspiration from various art installations and galleries; Geography field work trips, and a Legal Studies class visit to city courts. Members of the Year 12 Physical Education class are enjoying developing their skills in lawn bowling courtesy of Modbury Lawn Bowls Club. The Year 11s also attended the annual presentation by SAPOL, which focuses on road safety awareness in relation to the five major causes of accidents, and especially the role and responsibilities of student drivers. 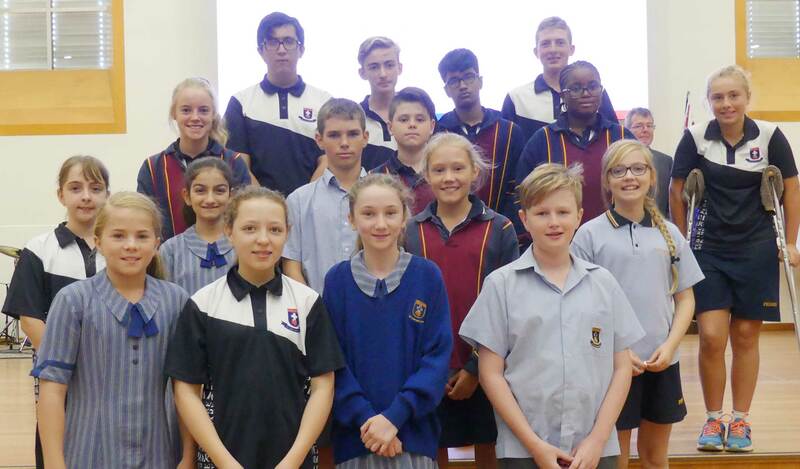 We also congratulate the students who swam to overall victory in their division of the recent SSSSA Swimming Championships; and we wish our Robotics team all the very best as they compete in a national competition in Sydney this weekend. They have spent many weeks out of regular school hours preparing their robot for this event. It is indeed a busy time, as the assessment tasks begin to accumulate and we get ready for the annual Athletics Carnival. A big thank you goes to those who were involved with Open Night on Tuesday 6 March. Our main focus for the evening was the promotion of our new Junior School and Middle School. 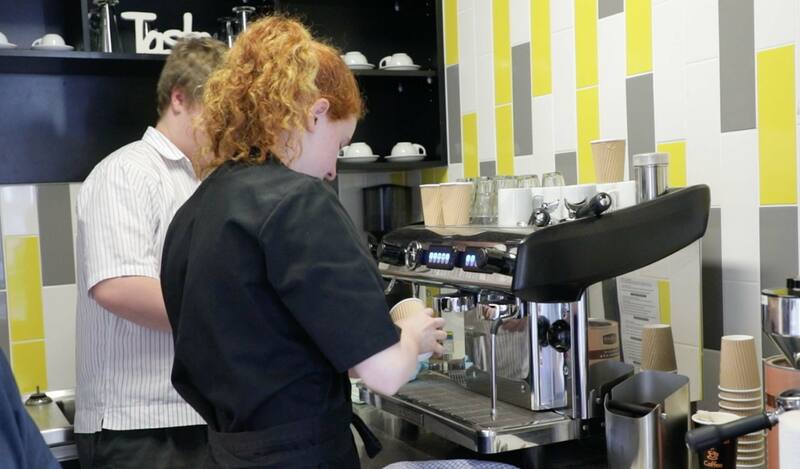 Some of the highlights were the fantastic Robotics display, students putting their hospitality skills into practice with making barista coffee, watching our budding artists at work and listening to the talents of our music students play a variety of pieces. 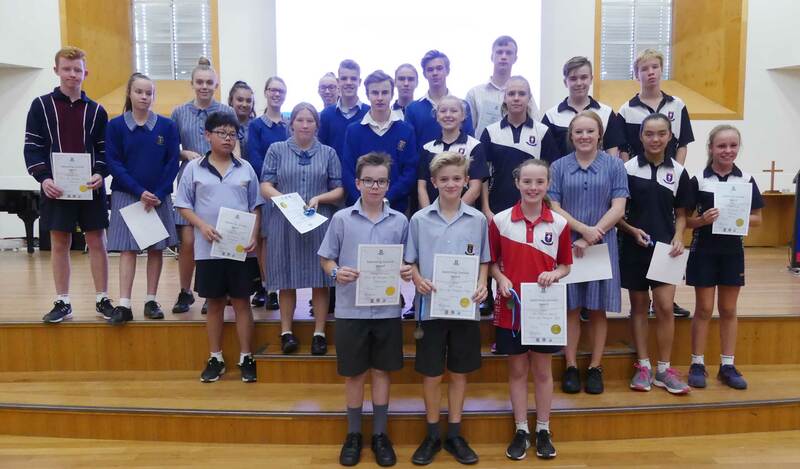 Congratulations to Middle School and Senior School students who were awarded their PSV (Pedare Student Voice) badges at the Awards Assembly on Thursday 1 March. 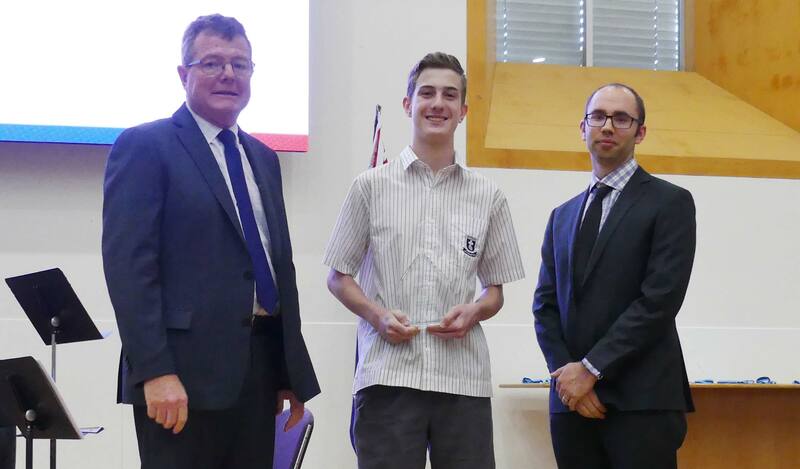 Congratulations also go to Ethan Weber, Year 10, who was awarded with a Young ICT Explorers trophy for winning the Year 9/10 Division Robotics Competition in 2017. 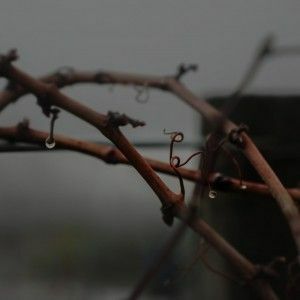 All food and wine orders are by pre-order only and will close on Thursday 22 March (Week 8) to give suppliers enough time to prepare. 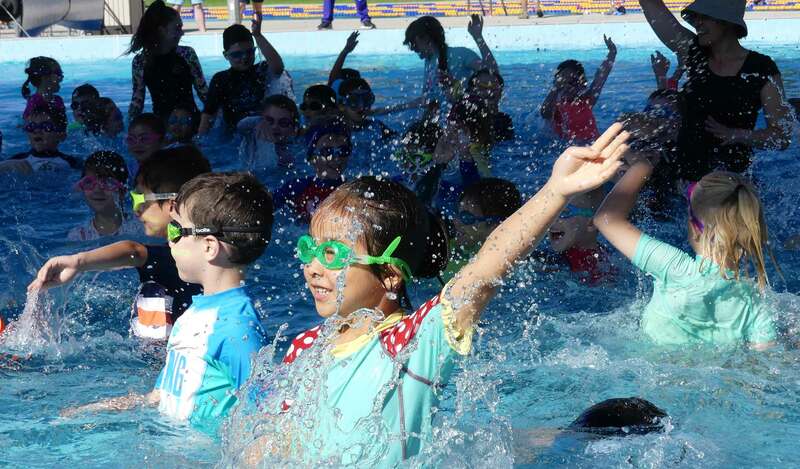 In Week 5, the Junior School held their annual Swimming Carnival at Waterworld. 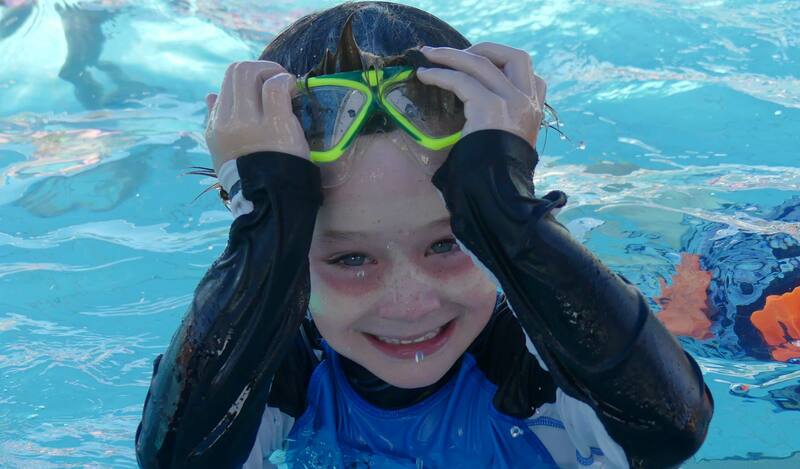 This followed a week of swimming lessons, where students had the opportunity brush up on their water skills. Students from Reception to Year 5 who participated in the carnival were full of excitement as they assembled into their community groups and sang the community songs with great enthusiasm. Once the official races were over, students had an opportunity to enjoy some free play time. After some very close race times, it was Surrey community who were the winners of the shield. As part of the current Junior School Worship theme ‘Promises’, Mr Randall Pearce, Head of Junior School, Mrs Melissa Clifton, Assistant Head of Junior School and Mr Russell Hopper, Junior School Property & Grounds, promised if the Pedare Community raises $5000, they will shave their hair as part of the World’s Greatest Shave. The World’s Greatest Shave is a fundraiser organised by the Leukaemia Foundation and you can make a donation until Friday 16 March. Mr Pearce, Mrs Clifton and Mr Hopper will shave their hair at the Junior School Assembly on Friday 16 March at 2:00pm. On Wednesday 7 March, Year 4 students went on an excursion to The Adelaide Fringe. They watched a performance called ‘Le Petit Circus,’ which was used as a provocation for the next unit of inquiry: ‘How We Express Ourselves.’ Students were able to witness how emotion and stories can be expressed through dance, drama, music and performance. 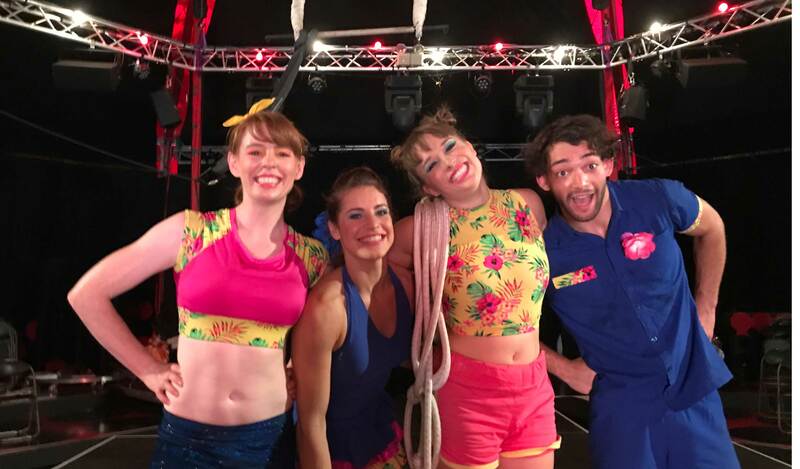 Year 4 students had an outstanding time at The Adelaide Fringe. Here are some of their reflections from the day…. Thank you for the support of our Year 4 parents who attended the trip with both of our classes. 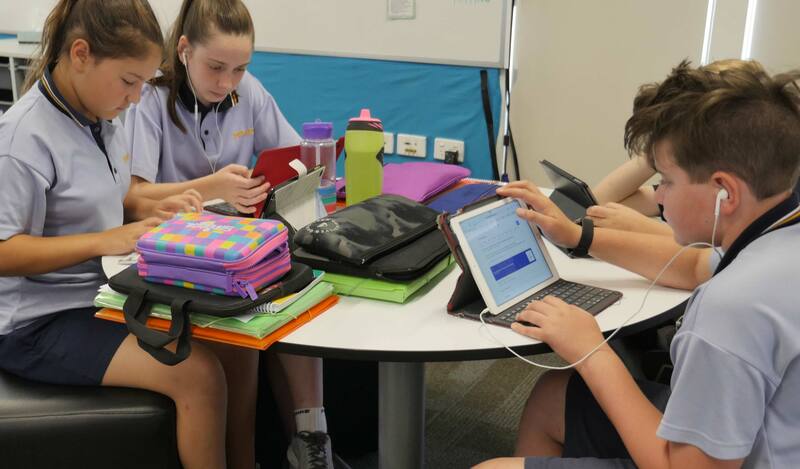 It is great to see Year 7 Maths students working collaboratively in their learning as they utilise the new Middle School furniture and put the open spaces to good use. Working together to solve problems, students are developing effective communication and critical thinking skills. 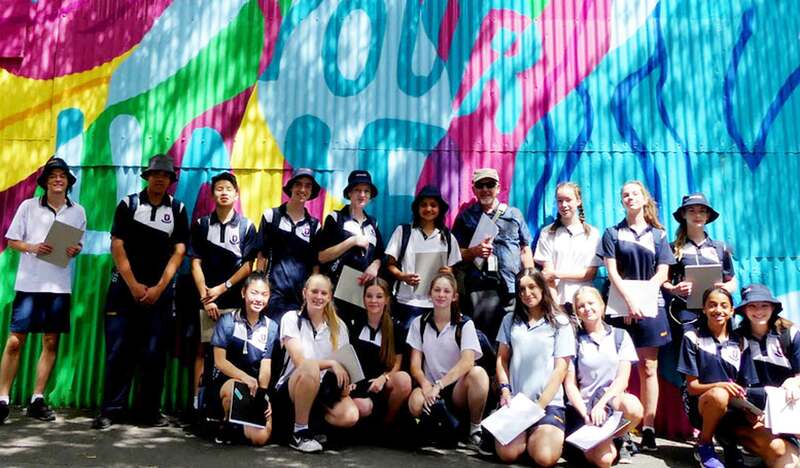 In Week 4, Year 10 Media Arts and Visual Arts classes combined for an excursion to the Adelaide CBD.  The purpose of the excursion was to research and discover a range of art spaces and information from inspirational artists for their Visual Study. 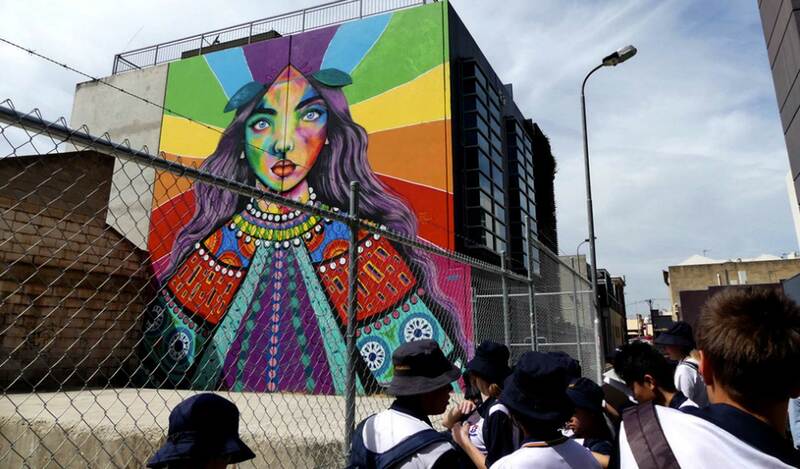 We began the day with a walking tour of commissioned street art for the Adelaide Fringe Street Art Explosion. Students discussed the differences between graffiti and legal murals, as well as the risks involved. 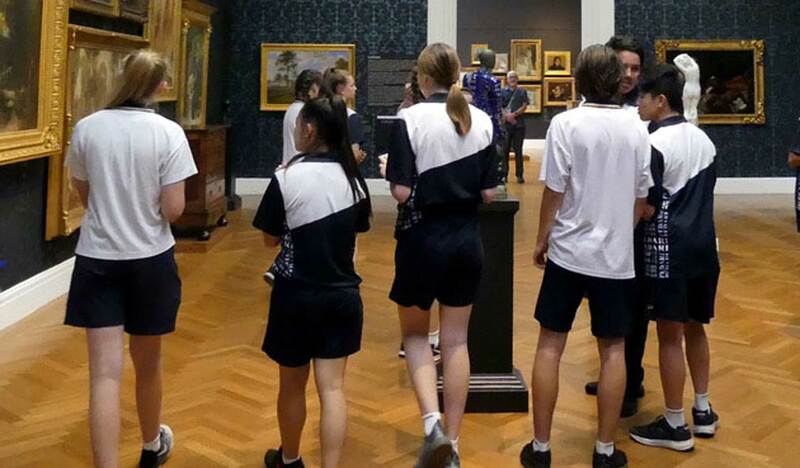 We visited the Art Gallery of South Australia, comparing how work is displayed and the value of art in our culture. After lunch we were able to continue the street art walking tour visiting a large range of murals completed by Lisa King, Toy Soldiers, Vans the Omega, Peter Drew, Jimmy C, Findac and Mimby Jones Robinson. We had a very successful day, full of inspiration and adventure. Students should be commended for their behaviour and enthusiasm despite the warm weather and amount of walking required to see so many locations. Congratulations to Ava Hughes, Year 6Y, who competed on 24 February in her first competition for Drama, Vocal and Musical Theatre. 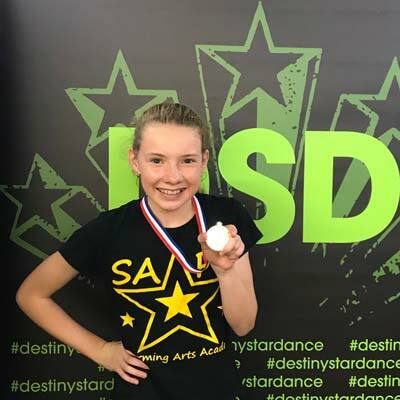 Ava, whose focus has been on performing in shows and her AMEB exams, received a 1st Place for 12 Under Drama – a solo acting skit consisting of 2-3 mins long. On the day, Ava also received a 2nd for Vocal and a 2nd and a Stand Out Performance Award for Musical Theatre. Pedare has had a fantastic week in the pool, taking out both the SSSSA and the SAPSASA Swimming titles. 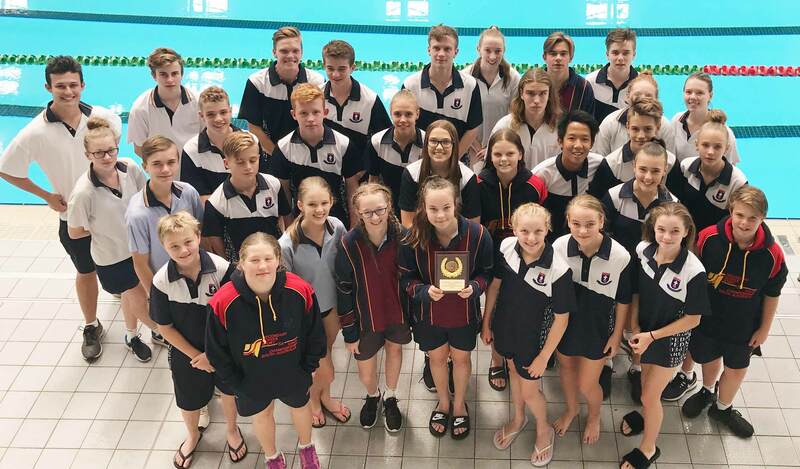 On Wednesday 28 February, swimmers from Year 8-12 competed in the SSSSA Swimming championships at the SA Aquatic and Leisure Centre, Marion. All swimmers competed very well, and many achieved personal best times. Several swimmers won individual races and many others placed highly. Overall the team’s effort on the day saw Pedare win the combined boys and girls competition, a fantastic achievement! 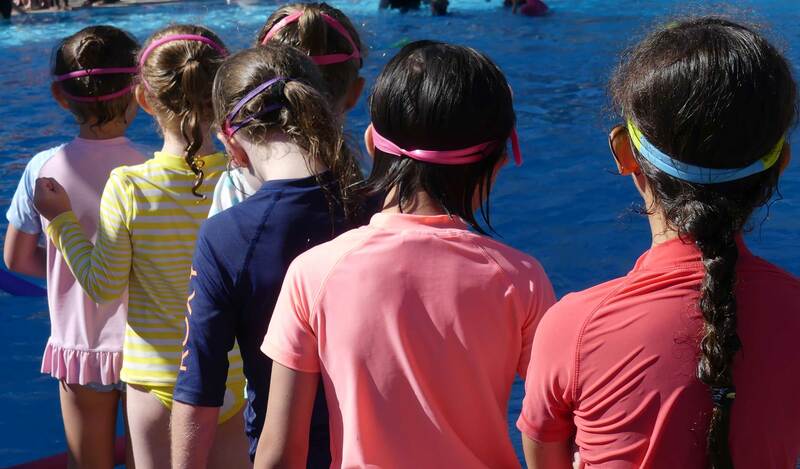 On Friday 2 March, swimmers from Year 4-7 competed in the Tea Tree Gully SAPSASA Swimming Carnival at Waterworld. 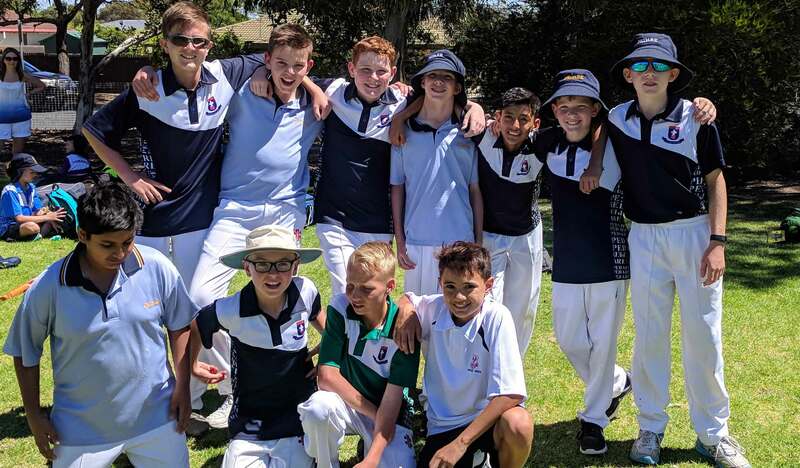 The team competed against several primary schools from the Tea Tree Gully area. Our students participated with skill and determination and came away as the overall winner of the carnival. Twelve Pedare students have now been selected to compete for Tea Tree Gully at the 2018 State SAPSASA Championships, another fantastic achievement! 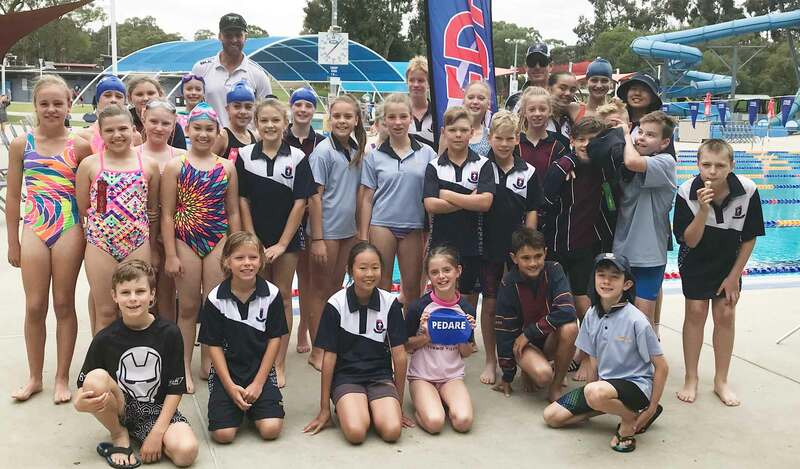 These achievements are a great reward from many of our students who swim on Friday mornings with the Pedare Swim Squad and other students who swim for local clubs. We are hoping that our numbers grow, and our swimming success continues into the future. Congratulations to the Knockout 6/7 Cricket team who won Round 1 against Ardtornish with an impressive score of Pedare 3/116 to Ardtornish 9/65. The whole team played well, with great delivery, fielding, back up and encouragement for each other. Well done to the whole team. The Clovercrest Baptist Church will be holding a Resilient Kids conference on Saturday 24 March, 8:45am – 4:15pm. Guest speakers will discuss topics including: Tackling Anxiety and Mental Health Issues; The Sexualisation of Children; Promoting Positive Body Image in Girls; Supporting Pre-teens and Teens on the Autism Spectrum; Growing up Online. Cost is $89 for the day and booking are essential. Form more information, please click here. Meets Friday each week at 7:30pm. Come for a great time of games, friendship and bible discussion. Next meets on Friday 16 March. For information about 2018 SWAT Youth, phone Dave on 0403 723 953 or click here.